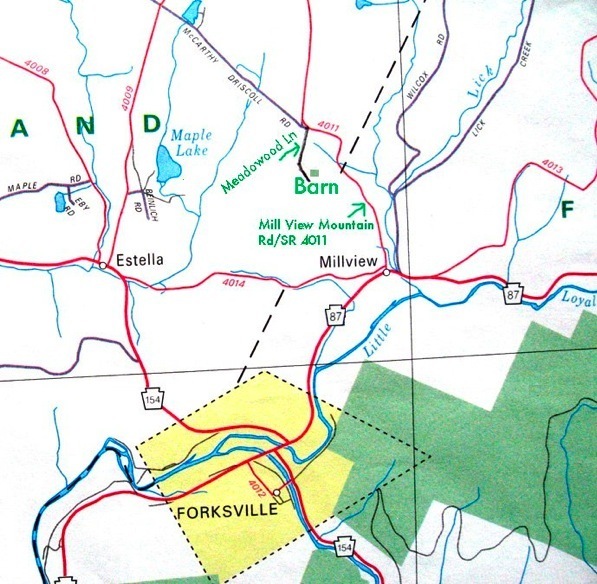 Our rural location makes “MapQuesting” a fruitless activity. Meadowood Lane is a local 911 emergency designation, however we do receive our mail at this address. Also, online maps incorrectly name Mill View Mountain Road (SR 4011) as Rudy Road, but we are in the process of correcting this with the mapping services. We hope that everyone who wants to visit us can find our farm in spite of this inaccuracy. For those visitors who use a GPS, our coordinates are 76 degrees 35 minutes and 43 seconds E Longitude, 41 degrees 31 minutes and 20 seconds N latitude. Please call Caroline at 570-494-7734 for complete directions. Thank you! 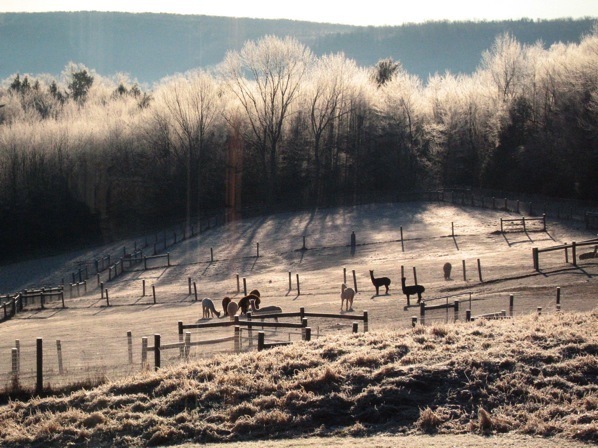 backdrop to our farm and alpacas.